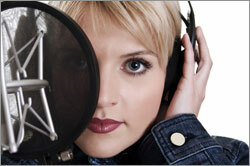 • Be Prepared - The best thing anybody can do for a recording session is to be well-practiced and prepared. Practice your song(s) with a metronome or a click track to get comfortable with that prior to the recording session. Know your songs inside and out so you have a quick answer to any question I might ask. • What is the BPM (Beats Per Minute) for this song? • How long is this song? What is the pattern of the song (Intro->Verse->Chorus...)? • How many instruments are in this song? • Do you need different versions such as Street, Radio, and Instrumental version for your songs? • If you have guest musicians performing in your tracks, make sure they know the song, their part, and will be on time. Since we would be recording the instruments alone WITHOUT vocals, it's important to be able to play through the song without the vocal queues, you might be used to when performing live. • Treat Your Session Like Work, Not a Party - Recording can and should be a fun and inspirational process, but distractions can be detrimental to your ultimate goal of recording great performances. Friends, girlfriends, boyfriends, and family members that aren't part of your music or motivation should not be at a session. Thought processes and moods change with other people around and ultimately cause your session to take more time than it should. Your focus should be on the collaboration with the engineer to get the best performance possible. • Become Familiar With The Recording Process - For Singer/Songwriters, we typically work with you to record the background tracks using Virtual Instruments (Drums, Bass, Keyboards, Horns, Strings, etc.). Our experience has been that these sessions come out sounding very clean and realistic. However, sometimes the process involves some or all of the instruments to be recording live. For these Live-type sessions, it's critical that everyone know their parts to get the best results. The Recording Studio is not the best place to rehearse parts. • Make Sure Your Gear Is In Good Working Order - Extra strings for your guitars and bass. Extra batteries for your peddles. Extra drum sticks. You might want to put new strings on your guitar/bass a week or so before the session to give them a chance to stretch. Make sure you bring a tuner with you. Recording out of tune instruments can ruin a session. • Rest Your Vocal Chords - Don't do a vocal recording session after a night of screaming into a microphone at a gig. Give yourself a day to rest your vocal chords. Even if you've performed the song 1,000 times, bring the lyric sheet with you. Just knowing that you are recording the vocal changes your whole dynamics. Get a good night's sleep the night before and stay hydrated. "Warm Up" prior to coming to the studio. In addition, I always like to run through as if we are recording once or twice to get the feel of the sound through the headphones and the volume levels. • Don't Do Drugs - Being stoned or drunk for a recording session is never a good idea. • Know When To Quit - Long sessions typically produce diminishing returns. Know your limits (and the engineer's limits). Come back another day rather than trying to "finish" when everyone is tired. Remember a recording lasts forever, your energy and patience don't. • Have Fun! - Recording is serious work, but it can and should still be fun. Keep the mood light; leave the "baggage" outside the studio.